The leaves and flowers are the parts used in herbal medicine from Motherwort, a long-lived herb that grows upright to over a meter with striking ‘toothy’ leaves and whorls of white to pink flowers. Motherwort has an interesting range of historical indications. The name shows how It has obviously been used to help with women’s problems, perhaps most notably for pain in the womb from menstrual disorders. 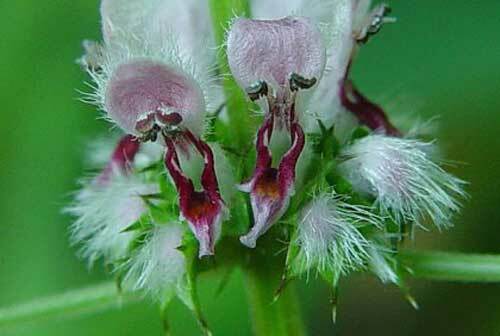 Motherwort has also been used when the period is out of balance, either not coming regularly or coming too often. 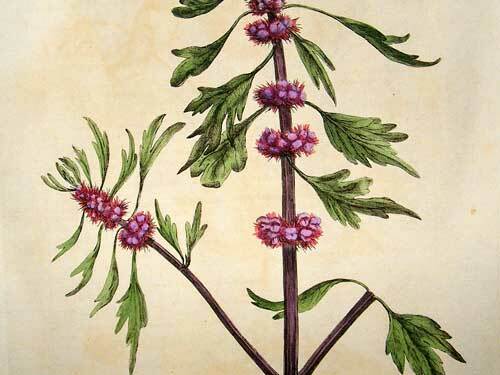 There is another clue to what Motherwort is for in its Latin name: Leonurus cardiaca. 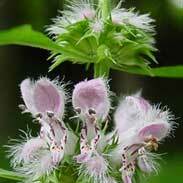 Motherwort has been used to help with heart problems since ancient times. 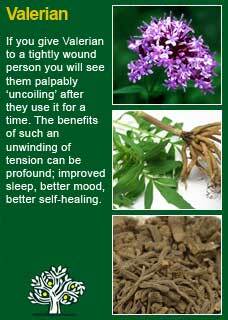 It was traditionally used to treat angina on effort, high blood pressure and an overactive, racing heart rate. Motherwort was used to calm people with epilepsy in earlier times and Rudolph Weiss writes how Motherwort has been used in folk medicine for various nerve and heart complaints and he confirms its primarily sedative effect on functional heart problems. 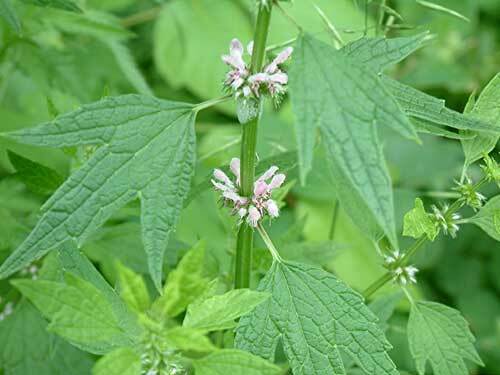 The British Herbal Pharmacopoeia (BHP) describes Motherwort's actions as sedative & antispasmodic' and says it is indicated for cardiac debility, tachycardia, amenorrhoea (absent period) and specifically indicated for cardiac symptoms associated with neurosis. The BHP suggests a dose of 2-4 gms or by infusion and recommends a tincture in the ratio of 1:5 in 45% ethanol with a dose of 2-4mls. ~ Laboratory experiments in 1990 showed a mixture of Hawthorn and Motherwort could prove an effective prevention or treatment for atherosclerosis but this has not been followed up, presumably like so many other herbal studies showing great promise for application to humans but not being able to be patented by anyone, due to a lack of funding. Clearly, it was used in the past to help with labour itself, but it may be best to avoid Motherwort during pregnancy. This caution may have come into the literature from studies on one of its constituents Leonurine, which has been shown to increase tone and contractions in isolated uterus muscle. That said, Motherwort is generally regarded as an extremely safe herb to take at any age or stage of life and the German Commission E advises that there are no known contraindications for this herb in pregnancy. If a woman was receiving tangible benefits from Motherwort and so felt reluctant to stop using it during her pregnancy, she should know that there are no reports of adverse reactions to its use in the medical literature and that any concerns are only theoretical. If a woman was already prone to heavy periods (menorrhagia) then Motherwort could potentially make things worse by virtue of its ability to stimulate the uterus further but note that I have never seen this in practice with the doses used as described below so again this is only a theoretical concern. In the literature or on the internet, you may find Motherwort being described as a treatment for an overactive thyroid, for example being recommended as a treatment for Graves' disease or Hashimoto's. I do not think that Motherwort can directly help the hormonal imbalance behind these conditions and that a more holistic approach will be required to help them. 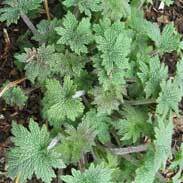 I think that Motherwort has been seen to help in this area because of the common symptom of the racing heart that commonly comes with an overactive thyroid. With respect to other herbalists, now and in the past, who have used and highly rated Motherwort as a women's herb for problems such as absent periods, I have not personally used it in my practice in this way (having developed my practice and confidence in some other trusted allies for these issues) and would only make the comment that Motherwort might be needed in higher doses than the ones I discuss below to achieve a certain action as a uterine stimulant. What I have personally come to develop a great deal of respect and trust for Motherwort with is how much it can shift a stuck pattern of tension in the heart. Listening to, and making three short recordings, of all my patient's heart-beats when they first come in, I have had many occasions to later see what my giving a course of Motherwort, with other herbs, has been able to do for the ones who had an erratic, strained, and overly 'tense' heart-beat. This is known as 'cardiac stress' and, in its advanced states, it will give profoundly unsettling symptoms of palpitations, arrhythmias, skipped beats etc. which, in turn, are problems that are only all too common in people who are carrying excess stress or emotional tension. 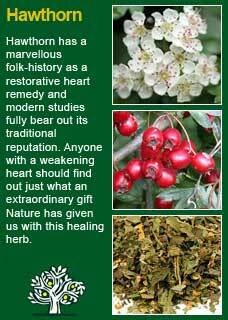 The combination of Motherwort with Hawthorn in these cases (other nervine relaxing herbs such as Valerian may well be used alongside) has been seen to reliably strengthen and improve the heart in the great majority of people who take them. The difference is palpable and can almost always be heard in the follow up appointment after comparing to the earlier recordings; there is a steadier, stronger, and more rhythmic beat, it sounds good and healthy, instead of strained and troubled. I have seen that if Motherwort is used wisely, and given to the person who needs it, that it can be a profoundly relaxing and healing herb. An example of one of many instances where it has been a true ally is copied below from a case study I wrote up for a natural health magazine in 2011, soon after the catastrophic Christchurch earthquakes. As always dosage is a critical issue to get right and in the case of Motherwort there does seem to be a considerable range of how much works and how much is too little or too much. The key point is that the relaxing effect should be palpable if you have given enough. So, what does palpable mean? For anyone who wants to use Motherwort in practice, I can recommend that you firstly get used to taking a dose of it yourself, (maybe more than a few times!) so you learn first-hand how it subtly but surely works on the heart, and then you will be able to coach a patient who is taking it for the first time, by giving them a dose of Motherwort (perhaps mixed with other herbs) and helping them to open up to its influence by having them take some then and there. It is always harder to be sure of it yourself, but when you give it to others you will see how they visibly relax, how their shoulders drop, they breathe deeper, how more colour comes to their face and you can see how much they feel encouraged by what it makes them feel. Motherwort is a sure ally for the heart, one that starts working right away, but our fear and anxiety about what is going on and what could happen to us can cloud our ability to feel its presence, to put if bluntly, heart symptoms make people fear their own death. So, I suggest practicing compassion for the person experiencing cardiac stress. If it has become symptomatic then it is a condition that can be overwhelming to say the least. If we coach a person on how to take Motherwort, it can help them to develop a well-deserved trust in this ancient herb that may then well become the first 'port in a storm' that they turn to in times of need. What I can also share with you is that often just 10-20 drops per dose is enough for a person when you are looking to settle the heart. Larger amounts can certainly be safely taken if needed but I would suggest starting at the lower end, give it a few tries to see if it is having an obvious effect and then, if not noticing anything, build the dose up gradually from there. The frequency of taking Motherwort can really be just as needed, a person can take it as little as once a day up to 6 or 7 or 8 times a day without any chance of overdoing it. For a nervine formula to release stress from the heart, think about combining Motherwort with equal parts of Valerian root and Hawthorn, e.g. 35 mls of each of them will easily fit into a 100ml bottle. A tsp of this would equate to about 1.5 mls (30 drops) of each herb. This combination has helped a lot of people get out of some very bad states and back to peace and rest. 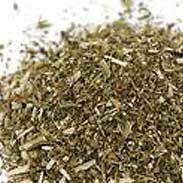 For the small percentage of people who can't take Valerian without getting a paradoxical stimulating effect, herbs such as Limeflowers, Kava or Skullcap could be taken instead. I would almost always give such a formula to be taken freely, as often as required. Once they have used it enough, it tends to be able to sit in the cupboard, there and trusted when needed. To further describe some of my own experience of using Motherwort I am going to copy a true story here (with the patient’s name and a few other potentially identifying features changed) that was first published in 2011 in the natural medicine Journal ‘Integria’. My dog introduced me to David. He was a human barometer that dog (now chasing celestial rabbits) the tenser the passer-by the more agitated he would become. A few years ago, we were coming back from a long walk on a weekend morning when he started barking his head off at a man coming out of his own garage. Well of course I couldn’t just walk off then, I asked him why he had wanted to see me and as he began to tell me the beginnings of his story, from many years ago, I could see in his face the torment of just how badly things were still going for him to this day. On the spur of the moment, without thinking about it, I invited him to come to my clinic with me then and there. Equally without any hesitation, he agreed. I don’t think he stopped talking the whole time but when we came into my dispensary area I asked if I could quietly feel his pulse. It was extremely agitated, hard and edgy. It was the full, bounding pulse of someone literally sitting on the volcano of their own anxiety. These kinds of people do not suffer the same kind of innervated fatigue of depression’s bedfellow; low grade anxiety, (where the pulse can be tense but so small as to sometimes be nearly impossible to find). Rather this kind of tension drives their body to physical distraction. They always have somatic symptoms and, not unusually in David’s case, those symptoms are in turn one of the leading sources of their continued anxiety. David was convinced that he had a serious heart problem and that it was going to kill him a lot sooner than later. In my experience, a patient may seem open and receptive to everything you have to say but if their symptoms are compelling and disturbing enough, and they do not experience some significant relief in a timely fashion then all the fine concepts and holistic ideals that have been discussed remain naught but thoughts -- soon forgotten. If, on the other hand, a way is found to show them that you have in your ability, in your toolkit, a way to help them feel better now then you often have, from that moment on, a person who is receptive to the point of actually taking those hard steps, those changes, which bring lasting healing. It often means doing very little at first, just the first step, but that step is nearly always the hardest one to get right. In David’s case, listening to his bounding heart beat and hearing how convinced he was that he had a heart condition (when something hurts that badly, it doesn’t matter how many specialists tell you that you are ok, you just know you are going to die from it!) 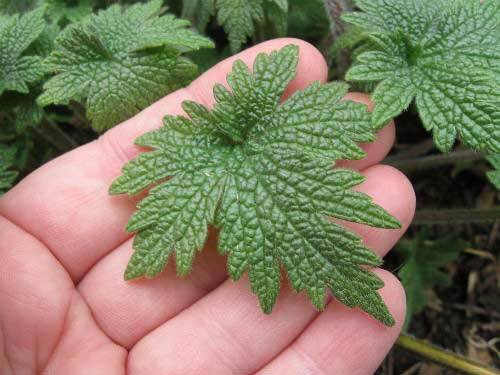 I felt that the most immediate way to help him could surely be Motherwort (Leonurus cardiaca). This is written up in some of the old texts as being specific for the phenomena described as ‘cardiac anxiety’ and I had found this to be true for others. If I had just sent David away with some Motherwort there might be a remote chance it would help him sufficiently to take the first step of trust in the therapeutic relationship. Given the history (that I found out about later) I would say the likelihood of that would have been slim at best. David had tried everything and been to everyone to no avail. Now, rather understandably given that none of it had made any real difference, he was more wary of medicine than he had been before he started. What I did instead was to get David to sit down with me and to feel his own pulse, not jumping to any dire conclusions about what any of it meant, just to feel his pulse exactly as it was. David didn’t need any training or special ability in order to do this, nobody does, all I had to do was show him how to hold his fingers and his own body, his senses, did the rest. People know what they feel; they know it at least as much as how they can believe what they see. Then I gave him some Motherwort, about 15 drops of one of our tinctures, no water, just straight so it would taste nice and full on! I quietly observed David, asked him how he felt the flavours in his mouth, whether he felt it moving into his body, his throat, his chest. I was getting him to naturally go into his bodily awareness by following the taste and sensations of the herbal extract. 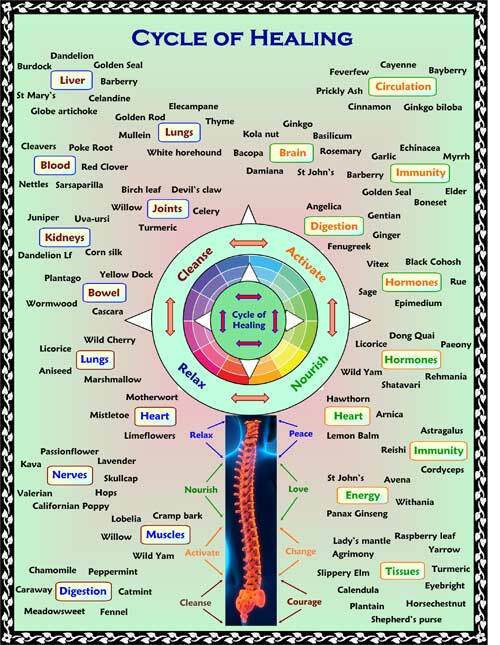 I believe that there is an extraordinary level of intelligence at sub-conscious levels of our being, something that can read and respond to a herb in moments. What happened next is that I took his pulse to check it and then invited him to do the same. The difference, compared to before, was remarkable. It was not a slight or subtle change; it was an obvious and major change from a bounding pulse to a settled one. His pulse had changed from a hard, striking ‘beat’ to a soft, pliable ‘boom’. Regardless, it is what happened next that serves to illustrate the point of the story. David visibly relaxed and his whole demeanour and expression changed. As he felt his own pulse and confirmed to himself what he already felt happening in his body his face began to smile for the first time. I don’t think he had ever formed a therapeutic relationship in a positive way with any of the many medications that he had used in the past. I doubt he realised it at the time but now, for the first time, he could begin to have faith in something that was not based on what ‘should’ happen, but what did happen, what he himself experienced. We went on to do some good work together, plenty of nervines, some good chats about letting go and relaxation, about facing your fears. The first Christchurch earthquake last September destroyed his home so he has now moved across town but we still have occasional contact and I know he continues to do well. Speaking of the quakes, for ourselves, our clinic was severely bruised for a second time after the massive February earthquake but we managed to stay open, again! It was a good thing too as a great many of my old patients, many of whom I had not seen for years, came to see me in the aftermath of the big one. Many in our community have had horrible levels of anxiety, with sleeplessness, and a terrible fear of the utter helplessness that comes when the earth moves violently under your feet, or under your bed. I saw those patients ‘pro bono’, without charge, in those aftershock weeks, and with each one I took their pulse, (and got them to feel it too). Gave them a dropperfull (or two) of a relaxing herbal formula, and listened and watched, as one after another, their faces took back their colour, their shoulders dropped, their breathing deepened, and their pulses softened, opened, and relaxed. And to watch that little moment when they feel that gentle letting go, and confirm it in the palpable change at their wrist, when their eyes open wide, not with fear, but with a sense that there still is some magic in the world, and that nature can be kind as well as cruel -- wonderful. Much of the information here about the traditional uses of Motherwort is consistent with the model of thinking whereby one may treat condition A with plant/substance B.